BART train pulling into the Richmond Station. 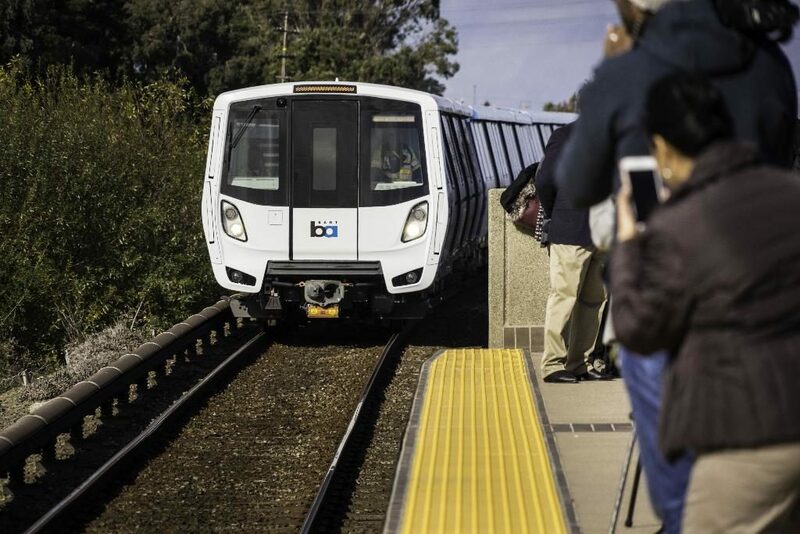 Effective February 11, 2019, Bay Area Rapid Transit (BART) will implement schedule changes lasting approximately 3.5 years in order to accommodate infrastructure improvements in downtown San Francisco, as well as critical seismic retrofitting of the Transbay tube. The changes will affect connections with the Capitol Corridor service on weekdays and on Sundays; there are no changes to BART’s Saturday schedule. BART has published a comprehensive news article on their website describing the schedule changes and is encouraging anyone who uses BART to either check the BART Trip Planner before taking BART or download the official BART app to plan their BART trips. On WEEKDAYS, BART will open at 5am instead of 4am. Capitol Corridor passengers who normally connect from BART to Eastbound Train 520 in Richmond (train departs the Richmond Station at 5:40am) may not make their connection to the train in Richmond depending on where they are coming from. Westbound passengers connecting to BART are unaffected. Trips involving transfers at the Oakland Coliseum Station should not be impacted. On SUNDAYS, for the most part, only one line (the Antioch/Yellow Line) will provide service through the Transbay Tube to San Francisco and beyond. The Richmond/Red Line and the Warm Springs/Green Line will provide some direct transbay service at select times. Dublin/Pleasanton/Blue Line trains will operate to MacArthur only and will not continue across the Bay. Capitol Corridor passengers who connect to BART at the Richmond Station or the Oakland Coliseum Station for travel across the Bay will need to first check the BART schedule to see if their BART connecting train is providing Transbay service on their day and time of travel. If it is not, you will need to transfer to an Antioch/Yellow Line train. Passengers connecting at the Richmond Station should make this transfer at the MacArthur station. Oakland Coliseum passengers can transfer at the 12th St. station. Carefully read BART’s news article about the schedule change. Included in this article is a map showing BART’s new Sunday service, as well as more details about the infrastructure improvements and service impacts. Download the official BART app and/or refer to BART’s online Trip Planner to confirm train times on your day of travel. If you are traveling to/from downtown San Francisco, consider the Capitol Corridor’s dedicated bus connection between Emeryville and San Francisco. Capitol Corridor’s Schedule page includes the San Francisco bus connections, and your Capitol Corridor ticket will reflect both the train and bus portions of your trip. If you decide to do this, please note that your Capitol Corridor fare may be different. Check our Fares Chart for more information.